Speed wins, especially when it comes to activating around live sporting events like the Daytona 500 on social media. 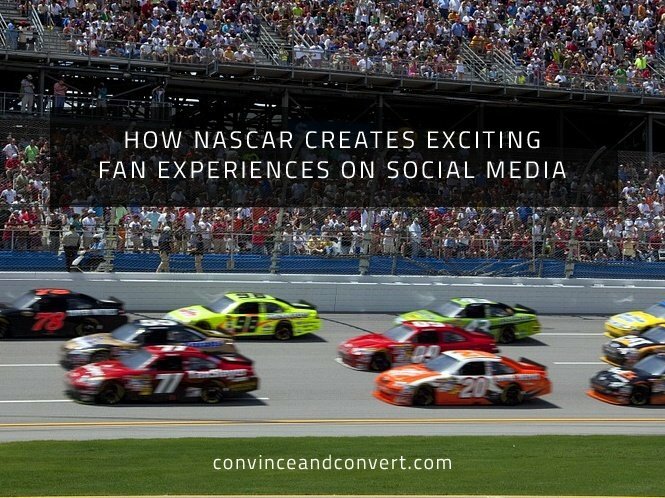 However, as companies like NASCAR are showcasing, supplementing real-time coverage with exciting social media experiences has become a powerful combination in driving fan engagement. To maximize the viewing experience of the Daytona 500, NASCAR implemented a number of compelling social media programs, including the Hashtag 500. Developed by Ogilvy & Mather New York, the Hashtag 500 offered fans a chance to win memorabilia used during the race, including a driver’s firesuit, a helmet, steering wheel, set of Goodyear tires, and more. Hey #DAYTONA500 fans, follow @NASCAR now to compete in the Hashtag 500 this Sunday! To enter, fans could find information about the contest and corresponding hashtags either through the live race broadcast on FOX or by following @NASCAR on Twitter. In total, NASCAR ran 10 special “races” or sweepstakes giveaways—each with a unique hashtag—about every 20 laps, during which the 500th respondent was declared the winner. For full sweepstakes rules, click here. In addition to live coverage on Twitter, Vine, and Periscope, NASCAR and Snapchat launched a partnership to tell the story of what it’s like to attend the NASCAR race, with a commitment to double its Live Story coverage of 2016 events. During each event, Snapchat curated and packaged Snaps from each event into a video stream shared globally as a NASCAR Live Story for 24 hours. These partnerships and activations follow a record 2015, where NASCAR hit 4.1 billion social impressions, a 52% increase over the previous year. On Twitter alone, NASCAR has more than 2.3 million followers and increased follower engagement by 87 percent during the 2015 race season. So what can you learn from this campaign? Instead of just covering an event in real-time, why not create a memorable experience for fans via social media? The key here is to compliment, and not overtake, the live event. By incorporating the sweepstakes and corresponding hashtags into the live broadcast and on Twitter, Nascar’s Hashtag 500 hits the right notes of complementing versus overtaking the race viewing experience. Part of the reason why the Hashtag 500 was so successful was because it was aligned with NASCAR fan interests. The chance to win gear right from the course is tailor made for super fans and NASCAR collectors alike, offering a powerful incentive to participate. As you’re planning real-time or live event activations, a deep understanding of your customers and their needs, wants, and even wishes is key in setting your activation up for success. Too often, real-time or live event activations can feel like one-hit wonders. The challenge and opportunity with activations like the Hashtag 500 is how these promotions continue to drive momentum following the event. In NASCAR’s case, the company is leveraging its social activations and partnerships to drive increased social engagement throughout its season. Additional ideas to drive momentum can be achieved by capturing content and sweepstakes participants, diving deeper into who they are (e.g., super fans vs. people who only enter sweeps). Doing so supports the growth of an advocacy program and allows for the creation of custom groups to target subsequent content to. Leveraging performance and customer feedback to inspire subsequent promotions and creative executions will also help keep fans coming back for more.